Did you know if coffee is not only felt during brewing, but also roasting techniques and the process after harvest. So it's not a coffee maker or barista that can make coffee taste diverse. Coffee farmers who also process coffee beans into coffee rice, is also very determine the taste. 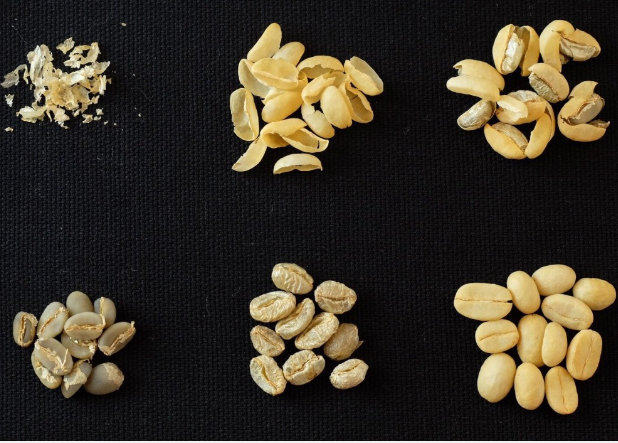 Let's compare the taste of each type of processing, let's learn more about coffee processing. Bottom line coffee processing can be divided into two, namely the process of wet (full wash) and dry (dry process or natural process). However, there are several techniques that farmers often use after adjusting existing park conditions such as air smoke, weather factors that often rain and conditions. Every coffee processing requires the harvesting of coffee by selecting ripe fruit or select red (red cherries). If you can not process the picking of red coffee fruit then every process used will not be produced to taste enough caraway coffee later. One of them is raw coffee fruit (the color is still green or crude yellow) will be followed and it will destroy coffee steeping. Because uncooked coffee beans will taste like beans and steeping tools, even if only one seed is not cooked. Therefore, sorting out the intolerable red should happen when expecting good coffee. In addition to picking red, another important process is the sorting of the coffee fruit. The trick is to soak the coffee beans in the air. When coffee beans float on the surface of the air, it is a coffee bean that has a defect. For example there is a pinhole, a term that indicates the caterpillar fruit in coffee beans. Since there is an air cavity inside the coffee bean where the fruit borer is located, the coffee fruit floats. Floating coffee fruit should be exposed (sorting) with coffee fruit that sank. The process of coffee processing with wet technique begins with peeling meat and peel of coffee fruit using a tool commonly called a pulper. The way the coffee is included in the container above the pulper (hoper) and grinding wheel is played while the coffee coffee is watered (see photo above which is the coffee farmer in Nagarisaribu Village Lintong North Sumatra peeling the coffee peel). Coffee beans separated from the meat and skin of the coffee will then be included in the reservoir immediately filled with water. Processing with full wash technique is done by soaking the coffee beans with water and some water time to dissolve the mucus that attaches to the skin of grain (parchment). The essence of this immersion process is to remove the mucus attached to the parchment. Some experts call this full wash technique will avoid fermentation in coffee, it is expected that the seduhan will feel clean (no foreign taste other than coffee). After being lifted from the air, coffee beans need to be dried in the sun to have 12 percent seed moisture content. This process takes several days depending on the weather. This technique is full wash coffee drying process because coffee beans can be avoided from excessive fermentation. This full-fledged laundry technique is common in state-owned or factory-owned PTPN coffee processing plants. They use engineering techniques to maintain the uniformity of flavors of their production. The full washing technique, indeed designed to avoid fermentation during processing. Although the existence of fermentation is actually legitimate, depending on which level fer. Once dried, then the parchment skin can be removed by using a huller. If you like coffee still want to be stored, it is advisable not to remove the unhulled grain skin. Full wash processing is done on arabica and robusta coffee. On robusta coffee with wet processing will lower the original body of robusta coffee is famous for thick. Thus a robusta coffee drink with lighter. The purpose of processing using semiwash technique is to speed up the process though. Some farmers use this technique to get immediate action and money. This technique is mostly done by arabica coffee farmers in Sumatra. Being a coffee planter has been regularly fasting for months, ie when coffee is not harvested then they will not get income from coffee because it can not be sold. Therefore, when the coffee begins to harvest they choose semi-wash technique, in order to quickly enjoy the results of the coffee harvest. The semiwash method is no different from the full wash technique, only after the coffee dipulper does not need to be soaked in the air. Coffee coffee can be dried immediately Some farmers have even done hulling or peeling of grain (parchment) when coffee is still wet with 60% moisture content because it is called as wet hulling. The purpose of wet hulling is to further speed up the drying process as it directly dries green bean coffee. When dried with grain skin, then the coffee when it is dried can be stored together with its parchment and coffee in hulling when dry. The technique of semi-wash so much referred to give the character on the body that increases on the steeping coffee. Could be the Sumatran coffee that berkharakter body higher because of this process. In some other areas such as Ciwide farmers apply the semiwash process, in addition to speed up the process as well as a strategy to improve the body of coffee. Understandably coffee enthusiasts in the homeland melts with coffee flavors are thicker. In accordance with the name of this process can not use the air yet can not pulper machine, because the skin and flesh do not need to peel. After the coffee is sorted, direct coffee is dried in the sun either directly or using green house plastic. The process of drying this coffee requires high sunlight, so the coffee can dry quickly. The faster the dry, the coffee fruit will be able to avoid the fungus and fermentation process is sustainable. Rich fruit flesh with sugar during drying out in the hot sun joins the flavor of coffee beans. After dry coffee beans with moisture content of 12% then the processing is complete, coffee can be directly pulped to remove the dry blackened skin along with its parchment. Can also keep coffee stored for a rest or aging. When some stores introduce coffee wine, then the production process must be dry or dry process. During this process occurs fermentation, so that felt the sweet taste of calm and acidity that is not sharp or bright but acidity like red wine. Large coffee industry is not long to do dry process, because they are not painstaking to process coffee in quantity very much with a relatively long time. Especially if not painstaking to reverse clothes in large quantities. When the location of processing a lot of rain, coffee fruit this process will turn white due to overgrown mushrooms. Instead of delicious coffee coffee, coffee that dirty taste later that will harvest. The opportunity to process the coffee naturally can be done for family farms that process coffee is not too much. With this technique small-scale farmers can really lift the flavor of production. Because eventually the coffee processing can actually be presented with kekriyaan or where every processed beans can really be considered during the drying process. So do not be surprised if the taste of coffee family farm production can also appear beautiful (good) and expensive. This coffee processing is done stripping the skin using a waterless pulper, after which the coffee is directly dried in the condition there is still mucillage or mucillage. During the drying process, activity takes place. This coffee is named after honey, because there is still mucillage or sticky with texture like honey. The process of honey is done in Indonesia, as well as in Latin American countries such as Costa Rica. Flavors emerging from the technique though still strong acidity, but accompanied by the concept of an impressive acid. Not the acid of fermented coffee. Coffee fans, you need to try to get a flavor adventure by comparing how this coffee installation works. And discover the thrill of flavors and flavors you like the most. Remember each one of the origin of coffee gives a very distinctive response to each type of preparation. Happy adventurous flavors!